I picked this one up on the recommendation of a Facebook friend. I'm always on the look-out for great books written by Australian authors. When I read the blurb I thought it was right up my alley - a thriller, conspiracy theories, and the Great Pyramid! What's not to love? Well I loved it and I hated it. I'll start with the bad, but do keep reading for the good. So let me tell you what I didn't love. First of all, I hate, hate, HATE this cover. The author would have done much better with just the pyramid and leaving off the smarmy looking couple. Second, the romance between Daniel and Sarah was teeth-achingly, diabetic-coma-inducing, sickeningly sweet and extremely unrealistic. Maybe I am just an old cynic, but PUH-leaze! It was written like the fantasies of a 14 year old girl. I could have sworn it was written by a forlorn, immature spinster - but then that image conflicted with some very chauvanistic ideas that were randomly thrown in - like when Daniel's thought was something along the lines of "the best way to keep a woman from thinking is to give her something to do in the kitchen'. What century was this book written in again??? And the fact that the woman he was referring to was a soon-to-be tenured professor of archeology just made it strike a nerve with me even more. Then of course there was the fact that all the woman in this book fit neatly into traditional "cooking and baking" roles that we women should. Ugh. Oh! And the poor elderly widow who loses her husband of many years in the book is flirting and potentially developing a romance with one of the other characters only a few weeks after her husband is murdered? Nuh uh. Okay, so you get beyond that because - really - that really doesn't have anything to do with the plot, right? So now we are at the plot of the book. My only complaint here is that some of this was a bit repetitive. Daniel had to explain his theories SO many times, to SO many people that reading them for the umpteenth time meant it was time to start skimming. But here is what I loved about this book. There was a decent conspiracy theory. You didn't know who to trust. And the absolute best part about it was the explanation the author came up with for solving the riddle of the mystery of the Great Pyramid. I actually really loved where his imagination went with that. So in spite of all the stuff I didn't like about the book, it really was worth reading just for that part, and I have already purchased and will read the second book in this series - The Ninth Cycle. 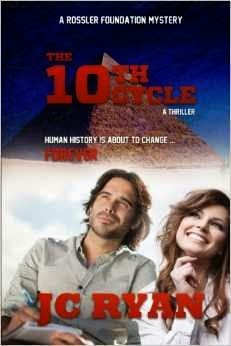 If you'd like to check out The Tenth Cycle for yourself, just click here to go to find it on Amazon.com. Do you like fiction about some of the world's great mysteries? Please recommend your favorites in the comments. WILL WE BE ALLOWED TO KNOW THE TRUTH? THE TENTH CYCLE is a full-length novel, a provocative techno thriller about human history, conspiracies and an ancient society with power and money that will stop at nothing to reach their sinister goals. 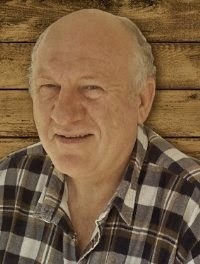 Enter this url http://jcryanbooks.com into your browser to sign up for special offers and pre-release notifications of upcoming books by J C Ryan.